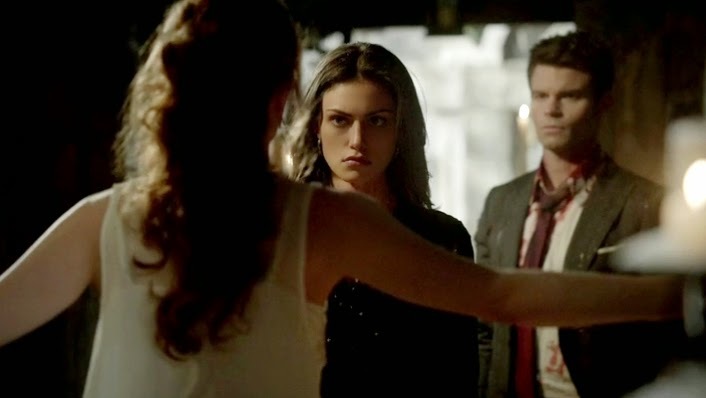 After recovering from a strong case of the “feels”, I am ready to talk about the season finale of The Originals. I don’t think I could have asked for a better finale, as I went in with quite a few fears about who’d be making it out in one piece by the end so I was pleasantly surprised when everyone in the core group came out alive--even Josh lived! Alright, so there were some casualties like all the witches who attempted to sacrifice Princess Mikaelson as well as all of Marcel’s vampires, (RIP Diego). But in the end everyone who survived handled everything like the bosses they are. 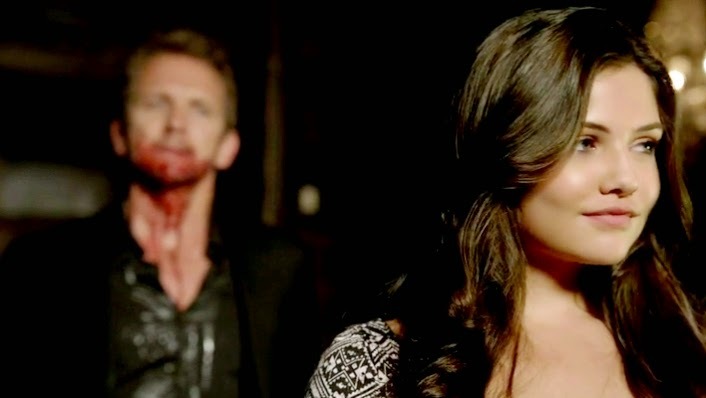 Let’s start with Davina, not only did she get to save Josh, but she proved that she wasn’t just some dumb teenager being manipulated by Mikael. Yes she brought him back in ALL his Sebastian Roche-shaped glory, but she didn’t just let him go off to do whatever he wanted afterward. She’s played the game enough this season to know what blindly doing what someone else wants will get you, so she’s hijacked him for her own needs. I can’t wait to see what she plans on using him for next season! Speaking of familiar people coming back from the other side, Esther and Finn show up right at the end in brand new forms. I’m assuming we’ll be getting some Celeste-style body jumping from them next season. Also, now that Supernatural: Bloodlines is dead, perhaps we’ll be seeing Kol next season? I know that would make plenty of fans very very happy. 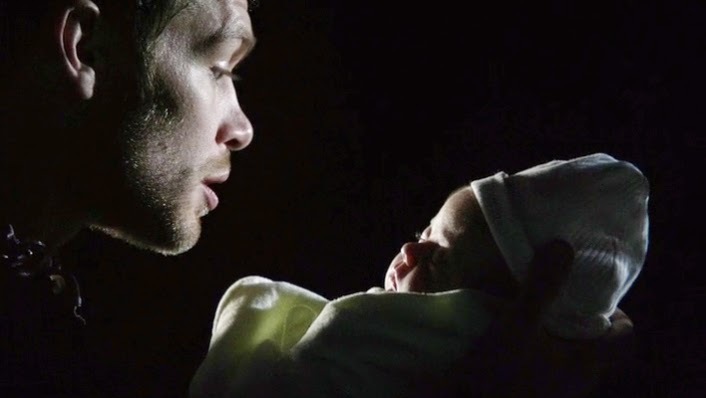 Probably as many fans that are screaming in joy over the fact that the littlest wolf, Hope Mikaelson, made it out alive. Major props to whoever in the writer’s room came up with the idea that led to both the baby living and not sticking around as babies and genre TV just aren’t a good mix typically. When Rebekah showed up at the end for her niece, I knew that this really was as good a season finale as I could hope for. Everyone involved in the show deserves serious credit for keeping that cameo a secret for so long! With Beks protecting Hope I wonder how often she’d show up next season if at all, but it certainly still leaves the door wide open for Claire Holt when she’s ready to return to this world again. Even though Rebekah is gone, the show’s other ladies have stepped up to the plate. This episode had great moments from several female characters showing off their courage, strength, and brains as they contributed in their own ways to the various finale events. Hayley really had such a range tonight, from her letter to her unborn daughter at the beginning of the episode to fighting tooth and nail to save her baby from being sacrificed, it might have been her finest outing yet on The Originals. Plus we’re going to have a whole new world for her to deal with next season considering she’s now a hybrid. Did anyone see that one coming? I sure didn’t! I had a feeling she’d survive, but assumed it might have been due to magic. Instead the daughter ended up saving her mother. Cami even contributed tonight by opening her supernatural arsenal up to Marcel and Davina. I’m really curious about where her character is going to go in season two. With any luck she’ll continue to embrace her lineage and learn more about the responsibilities that go along with protecting the human faction now that Kieran has left this duty to her. I also cannot express how happy I am that Marcel lived through the finale. 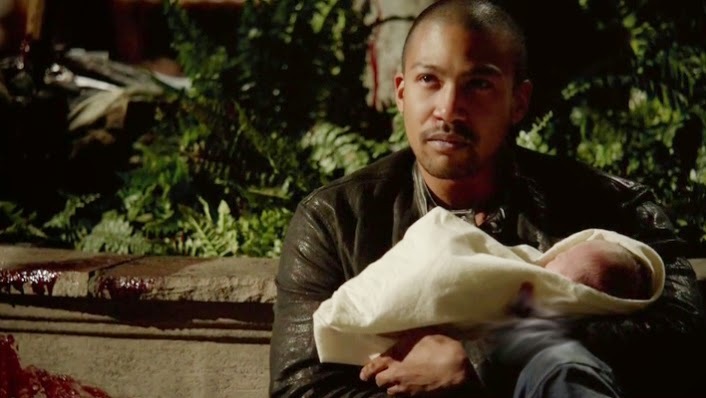 He’s as much a part of Klaus’s family as his siblings and to think of him not being there would have been heart-breaking. So to say I was extremely happy about Klaus giving him his forgiveness and blood to insure he survived is an understatement. I’ve just never been so happy to be completely wrong about everything that was going to happen in a finale before.